Bulgaria, for now, will remain in the imbalances procedure of the European Commission because Brussels wants to make sure whether, indeed, there is a process of correcting imbalances or they are deepening. This becomes clear from the several documents the Commission presented on November 13th marking the beginning of the fourth European semester. This happens only a week after Brussels published its autumn economic forecast, presenting again uncertainty for the Bulgarian economy. On the one hand, there are measures the government has implemented to reduce the imbalances, but on the other in the in-depth review of the Commission can be seen systematicness that puts the country into the grey zone - little action accompanied by a lack of vision. The real GDP growth of Bulgaria is described as weak in the first half of 2013 and is mainly driven by net exports and increase of public expenditure. In the same time, household consumption remains contracted. 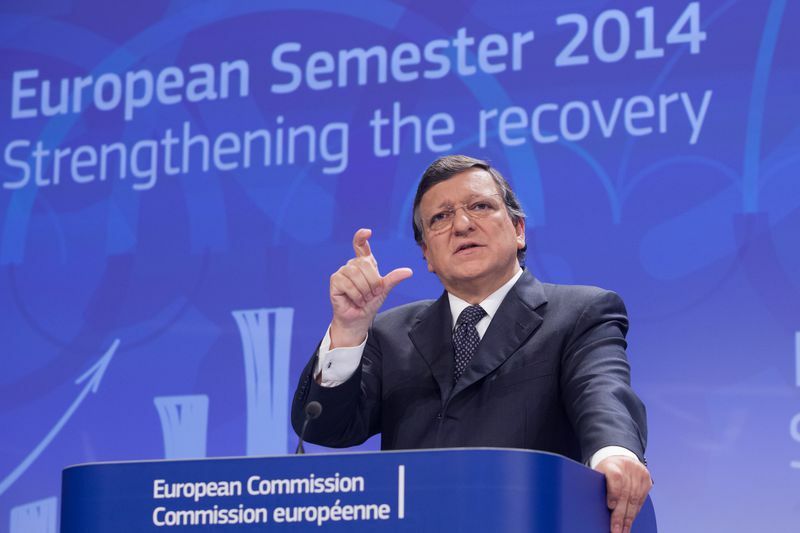 For the entire 2013 the Commission expects economic growth of no more than 0.5% on a year-on-year basis which is much below the Bulgarian economy's potential. It is possible the dynamic of growth to increase in 2014 to 1.5% and to 1.8% in 2015 which is below the expectations of the Bulgarian ministry of finance. When presenting the draft budget for next year in Parliament Minister Petar Chobanov pointed out that he expected economic growth of 1.8% as early as in 2014. According to the Commission, however, the big risk for this prophecy to come true stems from the significant population decline due to ageing or emigration. This, according to the Commission, continues to "erode" the potential for growth and consumption. Instead, however, much "better" dynamic is expected in the growth of the public debt which is forecast to jump from 18.5% of GDP ion 2012 to 24 per cent in 2015. Whatever the Commission means by using the word "muted" for the economic growth the main message is that the situation is not as worrying as in other member states, but is much worse than the country's potential. This can also be interpreted as a lack of bold decision-making on behalf of the government and also of a long-term vision in what direction should the Bulgarian economy develop against the backdrop of the demographic picture and how will the imbalances be reduced, especially the systemic ones related to the decline of the workforce and the structural unemployment. But Sofia radiates much more optimism. 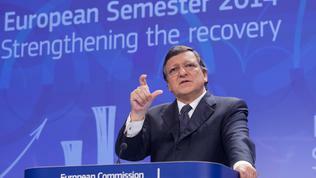 With budget 2014 Plamen Oresharski's government hopes to "restart" the Bulgarian economy. Bulgaria is among the countries with high unemployment which is still growing to reach 13% this year with a trend of dropping to 12 per cent in 2015. Moreover, in the interim report of the Commission on the Alert Mechanism it is pointed out that the divergences are still high in terms of employment among regions in the country and also among different population groups. It is recalled that reforms are expected to improve the efficiency of the employment services and to apply efficient measures to increase youth employment. In this sense, Bulgaria is still expected to improve the quality and efficiency of the education system. It is also recalled that reforms are still in the preparatory stage and their implementation is delayed. As regards to one of the specific recommendations the Commission made to Bulgaria in the spring, which is the constant growth of minimum thresholds for social security, the efforts of the government to try and limit their impact are taken into account, but it is pointed out that these efforts were quite cautious and did not come to a more comprehensive review of the social security system. However, it is reported that Bulgaria had undertaken significant measures to ensure sustainability of the public finances. The excessive deficit was corrected in 2011 and in structural terms the country has implemented in 2012 the mid-term target of -0.5% of GDP. And if Bulgaria is among the very few countries in the EU with a very low level of government debt, quite serious challenges remain, like tax compliance and the efficiency of the tax administration. Regarding the pension reform, progress is also limited. No measures have been undertaken to limit the abuse with invalidity pensions and in the healthcare sector reforms are put on hold due to the lack of administrative capacity. When measures boosting economic growth and competitiveness are concerned, the Commission reports about the reform of the public procurement legislation, but points out that more improvements are necessary to enhance the administrative capacity and ensure implementation. Somewhat in between is a reminder that Bulgaria is still expected to show progress in the judiciary reform. The fight with the slow and dependent justice has been outlined by the Commission as a key factor to boost economic growth. In the spring, the Commission presented a scoreboard in which it assessed the member states' judiciaries with the ambition this scoreboard to be included in the European semester. At this stage, the data are still a few which is probably the reason why the lack of progress in the judiciary reform in Bulgaria is mentioned in only one sentence. The Commission's interim report also shows that "significant" reforms are still expected in the country's energy sector. More specifically concerning the alignment with the common European market and imporvement of efficiency. The Commission's indicators also show that poverty and social exclusion are on the rise in Bulgaria in the past years. What the European semester indicators do not reveal, though, is the deep political and societal crisis which the country has been sinking in for almost half a year now, ever since the protests in the country started after a controversial appointment on a key position. The lack of a national consent about the long-term future as well as the total lack of a public dialogue on this issue are the main reasons why Bulgaria is in the grey zone according to the European semester indicators - it is not among the EU's biggest problems, but it is a systemic problem first for itself and then for the EU which is failing to respond to the expectations for prosperity in its member states.